One of my favorite restaurants was Brennan's. When Ike hit, it burned down. Tragically, Brennan's sommelier, James Koonce, and his four-year-old daughter Katherine were in the building. My understanding is that while they are not fully recovered from their injuries, they are well on their way. And Brennan's is too. 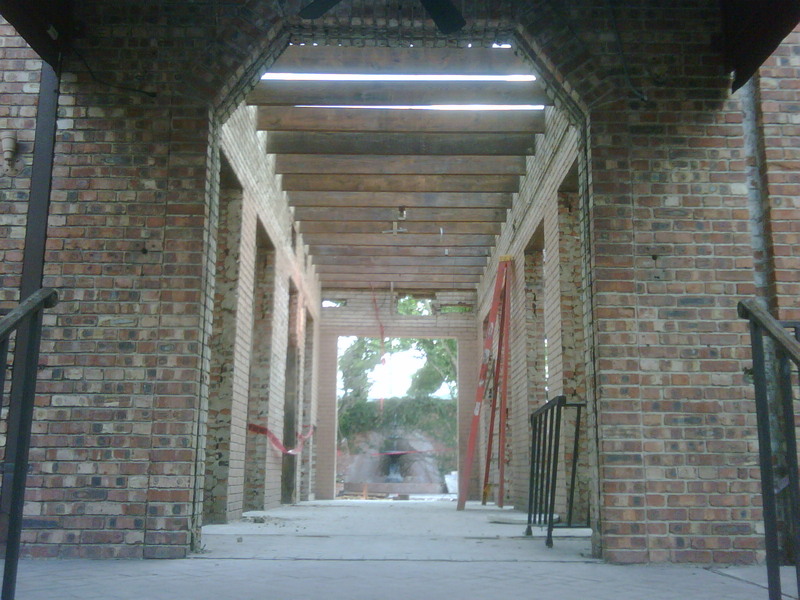 This is Brennan's new brickwork, taken by Pankaj for his beautiful blog, is this houston? I hope I will again be able to eat bananas foster there soon.